How to Throw A Safe Summer Party! The best summertime parties always sizzle, and a little preparation goes a long way towards making your soiree a success. Your delicious menu, great drinks and lively entertainment add spice to the festivities. However, don’t overlook a key ingredient: the well-being of friends and family. It’s easy to throw a safe summer party with a little advanced planning. Take a look around, and think about what happens during your parties. You’ll have lots of foot traffic, and hard floors get wet. Lay down extra mats, and pay attention to slick patios and sidewalks, especially near the pool. You don’t want broken glass on these surfaces, so indulge yourself in disposable dinnerware. Planning a menu that will offer your guests delicious choices is always a great start to your party. Keep kid friendly foods in mind as well as non-alcoholic drinks for the parents. Whether you listen to a San Diego police officer or a DUI lawyer in Philadelphia, you will hear that it’s very important to have alternative refreshments for your guests in order to help prevent drunk driving. Folks love to visit around the hot grill, but a few well-placed coolers and tables keeps everybody at a safe distance. Always have a home fire extinguisher handy in case the cooking flares up. Keep the heat in mind when you lay out your buffet. Nestling serving dishes in bowls of ice will keep your yummy food fresh. Chilling in the pool is fun, and assigning a couple of guest lifeguards is a great way to keep an eye on the kids. Thinking your way through the party before it starts is a smart strategy. You’ve laid out a delicious spread, and the company’s great, but adding entertaining activities makes your party memorable. Store away a little treasure trove of inexpensive prizes and let the contests begin. The best games include everybody, so think about playing with your food. See who can build the tastiest burger or decorate the best cupcake. Everybody loves an old-fashioned ice cream eating contest. After the food fun, work off those calories with some after-dinner Olympics. Break up into teams by ages, and run the backyard dash or tumble around with a game of touch football. As the evening winds down, announce an impromptu photo contest with categories like best candid shot or funniest faces. Enjoy sharing everybody’s pictures from the day and vote on your favorites. These ideas are all easy, inexpensive, and even the kids get to play. Cold beer and chilly cocktails are part of summertime celebrations, but you want to make sure everybody has a safe drive home. Serving plenty of food helps balance out the drinks, but you can do more. Offer virgin versions of margaritas, pina coladas and lime daiquiris. These libations are just as tasty without the alcohol and they give your guests refreshing choices. Limiting access is a sure way to control consumption, so don’t set up an open bar. Ask a friend to play bartender for the evening; this is a sly way to slow down the drinking without putting a damper on the fun. No one ever intends to be pulled over for a DUI, but you should still keep a responsible eye on your guests. Be prepared to call a cab or offer that important ride home. You’ll be busy on party day, so enlist the help of a friend. Together, you can figure out smart strategies, plan fun activities and keep two pairs of watchful eyes on your guests. When the summer party’s over and it’s time for goodbyes, you’ll have real peace of mind knowing that everybody will make it home safe. Being a thoughtful host gives Nadine Swayne the insight to write this article. Steven E. Kellis is a DUI lawyer in Philadelphia who provides personalized attention to clients facing DUI charges. Mr. Kellis has handled over 300 DUI trials and believes that all people accused of a crime deserves the best defense. 18 Responses to How to Throw A Safe Summer Party! Great idea. I thought this was going to be about kids. Thanks for these tips, we are starting to plan our summer parties! These are some great tips for having a summer party. Thanks so much for sharing. I’m looking forward to some summer parties. Those are excellent tips. I often forget the small details that could cause problems, such as slipping on water, etc. Great tips, I would love to spruce up my backyard for a good party. I hope to have a few parties this summer. I am so looking forward to summer parties. I can not wait for summer parties in our new house. So true about keeping people in check with their alcohol consumption. I want safe fun. I definitely think it’s important to monitor the amount of alcohol consumption. Nothing ruins a nice family gathering than someone acting less than appropriate from one too many drinks. I already see a few parties in our future!! 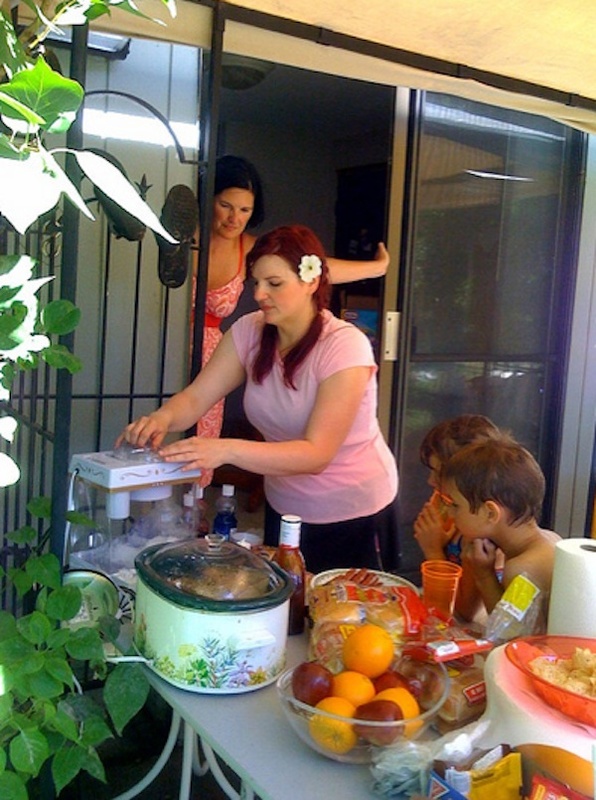 I am starting to really enjoy throwing parties — great tips!